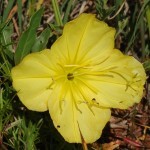 We also saw several of these lovely evening primroses. 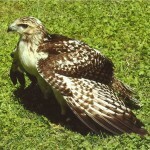 When we returned to the porch, we found this photo of a juvenile Red-tailed Hawk on the table. Steve, did you leave it there? If so, we’re sorry we missed you!